Many of you will have already carried out your 'pre-season' maintenance on your caravan, trailers and towbars. However. just, before you set off on your well deserved Easter break it is worth noting some of the most forgotten maintenance jobs, especially checking of wheel nut torques. Checking wheel nut torque is vital for safety on the road as incorrect tightening of the wheel nuts can result in sudden and catastrophic wheel detachment. If the wheel has been removed for any reason, such as a puncture repair or servicing, before re-fitting it, it is essential to look up the correct tightening torque from the handbook and use a torque wrench to accurately achieve this measurement, as bolts done up too tight can be as dangerous as too loose. Ensure you follow the recommended sequence when tightening each bolt. 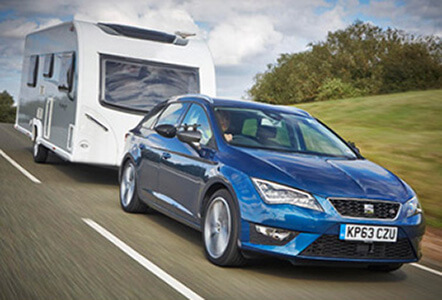 As well as checking the wheel nut torque it is vital to do other checks to make sure your caravan and towbar are ready for the towing season, take a look below at some more of our tips on getting ready for the Easter season! • Re-torque all fixings to the values specified - these can be found on the installation instructions for you towbar which will have been supplied in the towbar box or given to you by your fitter. Don't worry if you don't have them anymore you can always get in contact with us and we will be able to send you a copy of them to you! • Repair any damage to the paint finish - While Witter utilises the most modern and comprehensive pre-treatment and painting systems to keep your paint finish as clean as possible, however the Towbar is subject to an extremely harsh environment due to it being located 'under body'. Therefore we suggest additional coatings where needed to help protect the core metal. • Replace any damaged components - if you do have any damages to your towbar Witter replacements can be purchased through ourselves or the stockist/fitter who fit the bar for you. 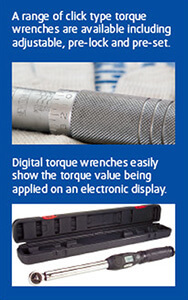 If you do not have a torque wrench then these are readily available, especially in automotive, DIY and machinery stores and are relatively inexpensive and is a real safety investment.